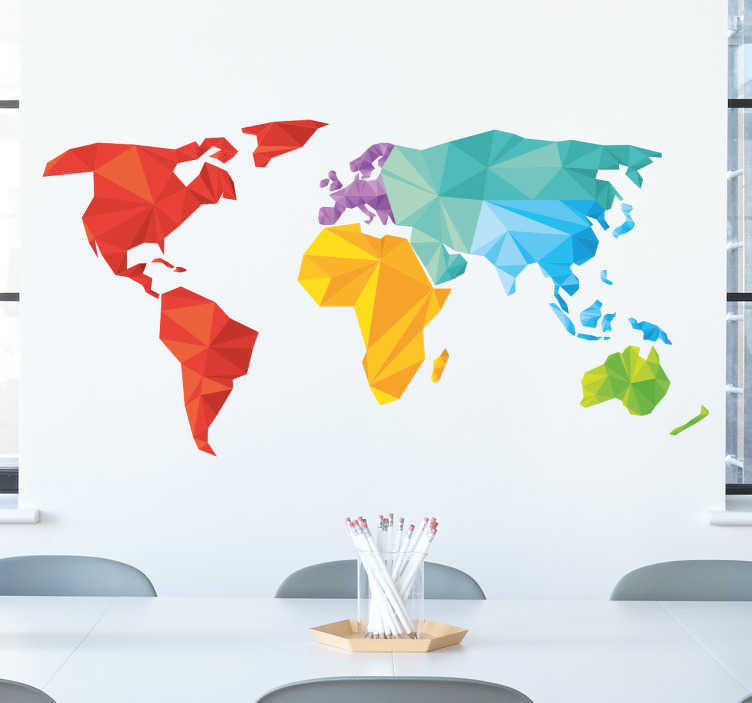 World map stickers - Incredible, unique and colourful geometric design of a world map. The geometric wall sticker will add so much decoration to your home. Also part of our wall stickers for office collection. The world wall mural sticker is easy to apply being made from high quality, anti-bubble vinyl.